"Glo Friends glow for hours!" 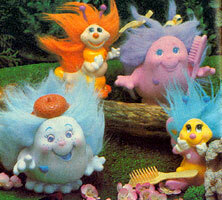 Glo Friends were produced by Hasbro and Playskool from 1982 into the late eighties. 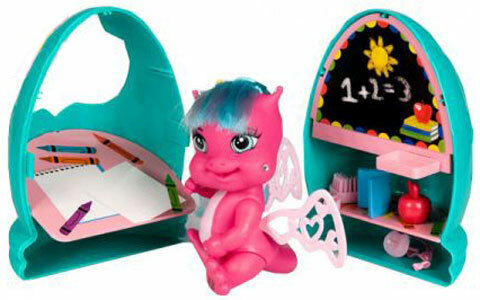 Along with the large plush Glo Worm, there were a series small glow-in-the-dark insects and other small creatures, plus books, cartoons and other various accessories. 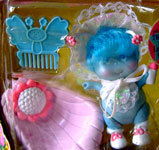 View all Glo Friends on eBay.com or eBay.co.uk ! 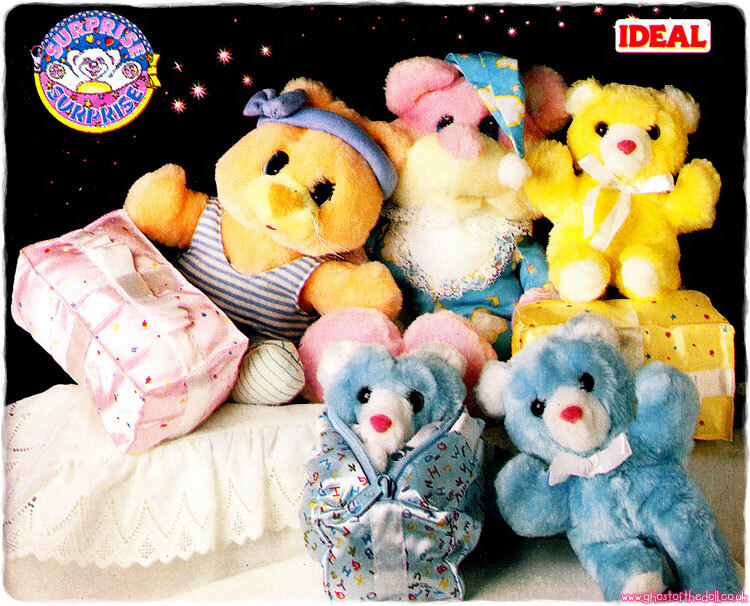 There were lots of plush Glo Friends produced. 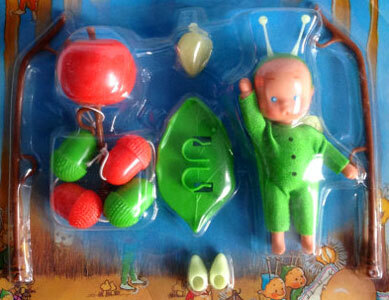 They had plastic faces and fabric bodies which hid a battery pack. When hugged their faces would light up. There were quite a few different styles (which I have grouped together). 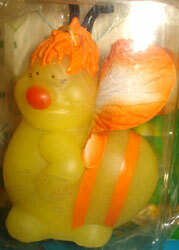 "Huggable Glo-Worm glimmers with happiness every time toddlers lovingly squeeze his cuddly tummy. 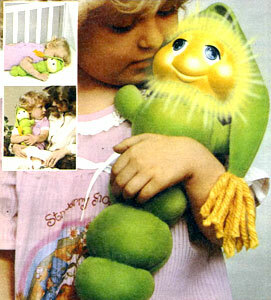 Children never need be afraid of the dark...smiling Glo-Worm makes the perfect 'night light' or carry-around companion." 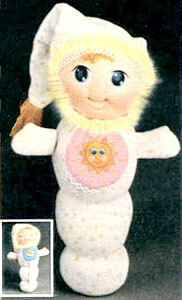 "Musical Glo-Worm, ready for bed in his nightshirt and cap, plays a lullabye when children hug him." "Wide-eyed Baby Glow-Worm slips into a sleepy pose with a flip of her nightcap. Hug her, she glows."